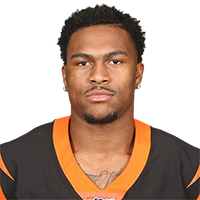 Analysis: Tate was out of favor with the Bengals' coaching staff for most of the season, but due to injuries decimating their receiving corps, he was active for seven of the last eight games. The seventh-rounder finished his rookie season with four catches for 35 yards on 12 targets. Analysis: Following the Bengals' loss to Denver on Sunday, the team placed star wide reciever A.J. Green (toe) on injured reserve. The rookie Tate was inactive Sunday but saw seven targets in Week 12 against the Browns when he was active. With Green out for the season, Tate could assume a bigger role in the Bengals' offense. Analysis: The rookie wideout had the best game of his three-game career Sunday, setting career highs in both targets and receptions. With A.J. 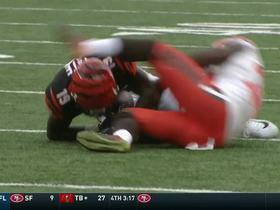 Green (toe) sidelined, quarterbacks Andy Dalton (thumb) and Jeff Driskel threw Tate's way repeatedly throughout the contest. Tate's catch rate will need to improve if he expects to put up better numbers, but perhaps Tate and Driskel will develop a stronger rapport after a full week of practice. Analysis: Oddly, Tate was on the field for the Bengals' final fourth-down play, but then came off after a Ravens timeout. That pass instead went to Cody Core, who dropped it. Analysis: Tate's rookie campaign has gotten off to a bit of a rocky start, but things seem to be trending in the right direction for the seventh-round pick following the promotion. It's unlikely he'll work his way into the offensive game plan with Cincinnati this season, but there seems to be an opportunity to earn a spot on special teams.